Buko, on Boracay | Is Life a Recipe? 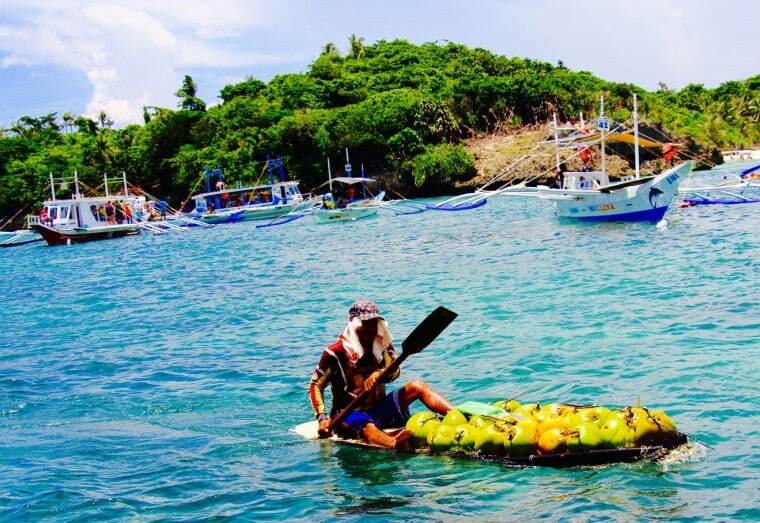 What is Buko and what us Buko , on Boracay? Well it is basically fresh coconut. Literally plucked from the tree and then hack up to leave it open at one end and flat on the other. Normally served with straw and soon as you want to eat the delicious white flesh within side. I remember being a kid in England and attending summer fairs and the like – and yes there was the coconut shy, where you had to throw balls at coconuts to win them as the gift. Now those coconuts don’t look anything like these – these were the brown and hairy type, dried out coconut and a little coconut milk. Buko can have about a pint of milk and a beautifully refreshing dessert, great on a hot Filipino day. So to the making of a Buko, on Boracay. I want to share some videos with you from whilst we were in Boracay, Philippines. One lady was filmed in the markets of D’Mall – opposite Smoke Restaurant (see blog here of that restaurant). She was incredibly embarrassed as you can see. Great big hairy foreigner asks to video you perhaps I’d be scared too ha ha. I said to her I would only film her hands – nighty me. Now I thought she did a great job. BUT – then we visited Crystal Cove Island – and met a Ninja Master. Boy was this guy showboating. Seriously showed up our little lady from the market – man this guy was GOOD. Daddy-Pedia time now – did you know The Philippines has a Coconut Authority it is so important to the country. It is known as “The Tree of Life” because of the endless list of products and by-products derived from its various parts. Food, shelter, fuel, drink – in fact you name it, the coconut has it. The coconut industry is considered a major dollar earner that provides livelihood to one-third of the country’s population. So folks get yourself a Buko when you’re next in The Philippines. Get your shoes off, sink your toes in the sand. We certainly did at Crystal Cove, Boracay. Even being pursued by a guy on a surfboard selling them. The Semi-Naked Chef says to try Buko, on Boracay – Enjoy. No Replies to "Buko, on Boracay"